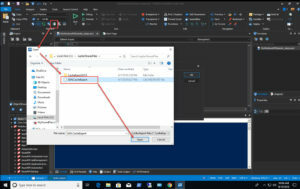 This is the first post in a blog series about working with remote systems using PowerShell Studio. 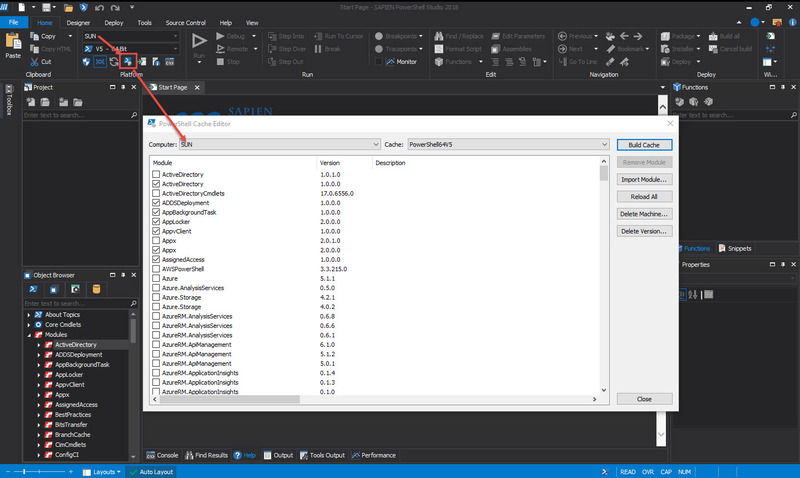 In this first installment I will show you how to use SAPIEN Technologies’ Cache Export tool to collect module information from a remote system, and then use PowerShell Studio to create scripting solutions by using the exported cache. The ability to access modules residing in remote systems allows us to create PowerShell solutions that span infrastructure and DevOps environments. 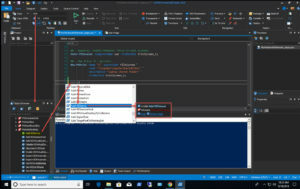 PowerShell Studio and PrimalScript include components, such as the “CacheExport2018.exe”, to help you access modules on remote systems. PowerShell Studio and PrimalScript include a component that will collect the module information from the remote system—”CacheExport.exe“. 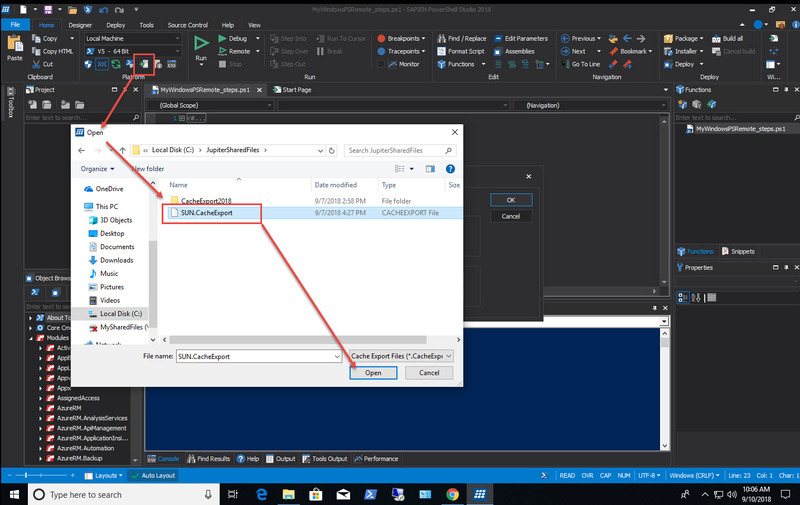 This program will extract module information into a file which can be accessed from the Cache Editor feature in PowerShell Studio and PrimalScript. 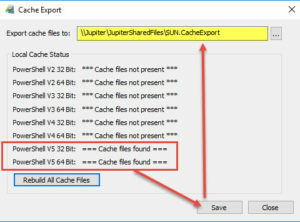 The file “CacheExport2018.zip” contains the cache export executable. 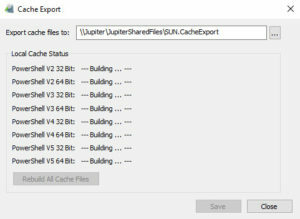 The files in “CacheExport2018.zip” need to be extracted on the server where you are going to create the Export Cache file. The steps outlined below are my preferred method because I don’t have to copy over the executable or leave it on the server. 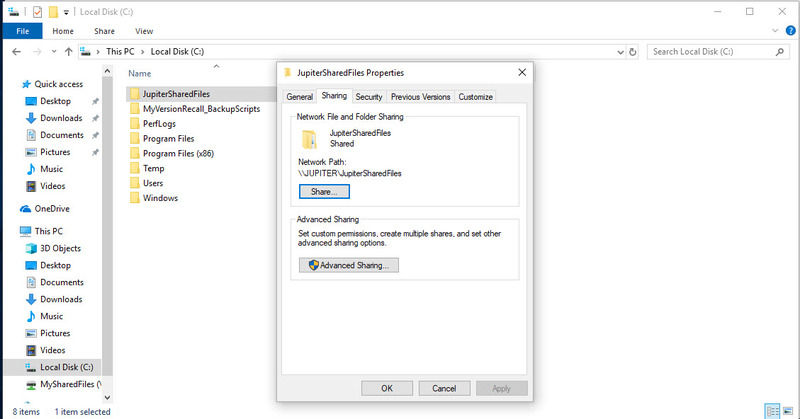 Create a shared folder locally. 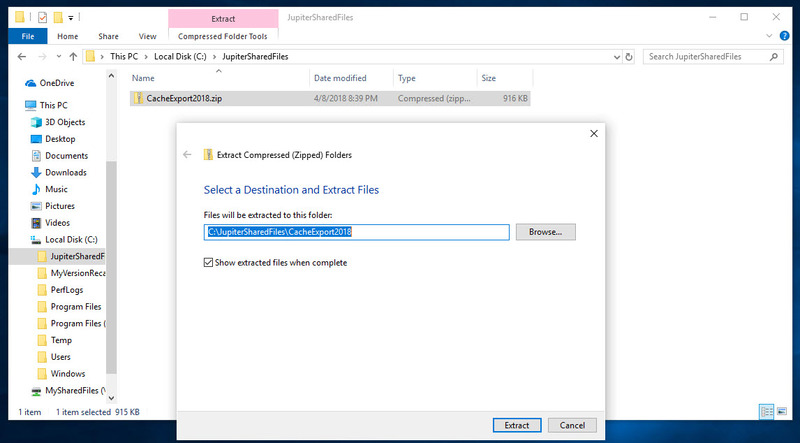 Copy “CacheExport2018.zip” to the shared folder and extract the files, which will create the “CacheExport2018” folder containing the executable “CacheExport.exe“. 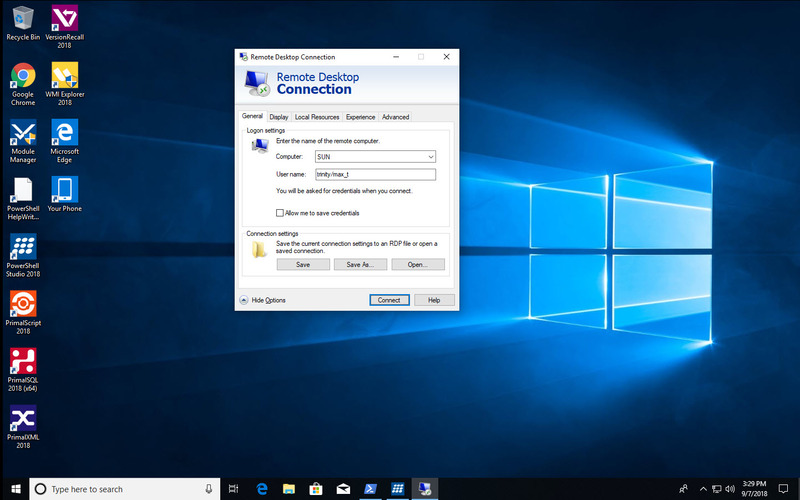 Now we can proceed to connect to this shared folder from the remote system. Open a Remote Desktop session to the remote system. 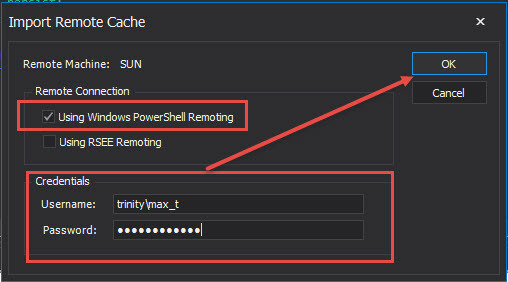 Use PowerShell or File Explorer to map a drive (x:) to the shared folder that contains the Cache Export executable. 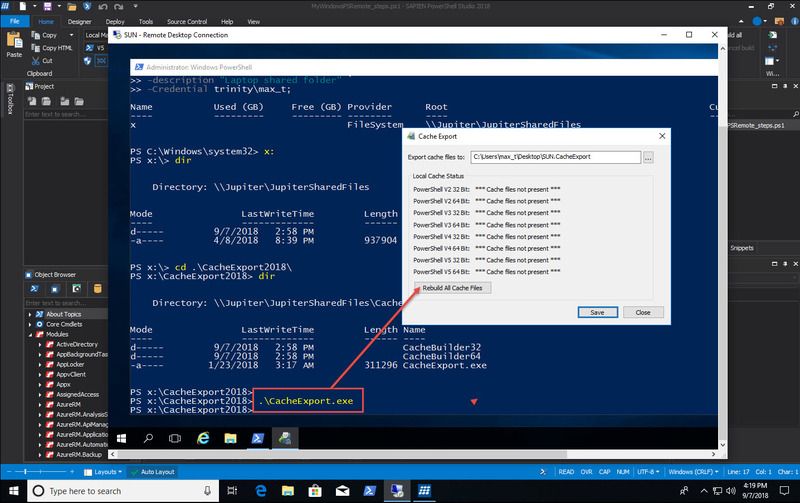 Navigate to the attached shared folder (e.g., x:\CacheExport2018). 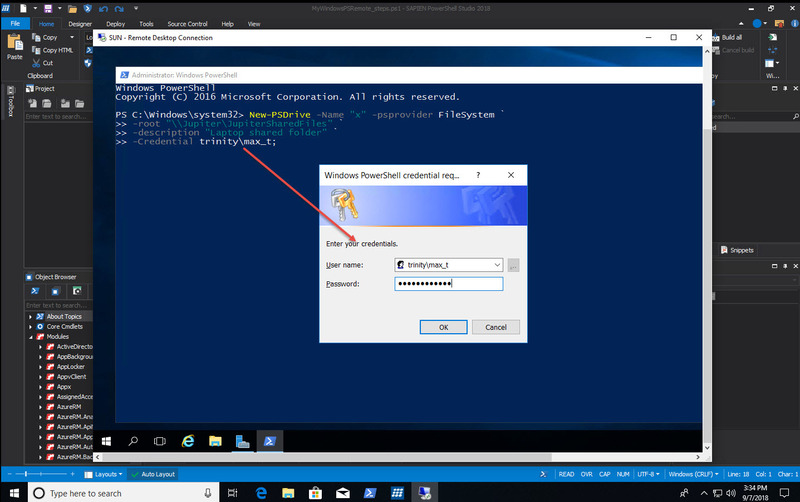 If using PowerShell Console, type the program name CacheExport <Tab>, then press <Enter> to execute. 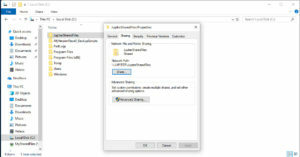 If using File Explorer, just double-click on the file name “CacheExport.exe“. 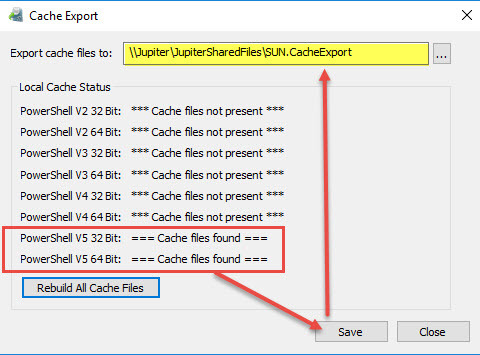 In the Cache Export pop-up window, change the Export cache files to: filepath to the shared folder. 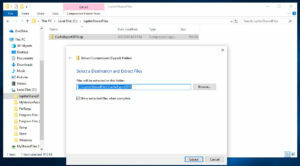 Select Rebuild All Cache Files to build the export file. 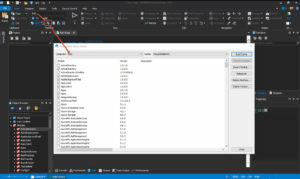 At the end of this process, select Save to store the cache file in the shared folder. 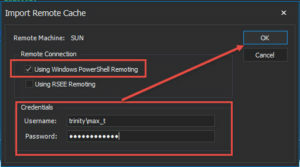 Reminder: This folder resides where you will use PowerShell Studio (or PrimalScript) to access the exported cache modules. 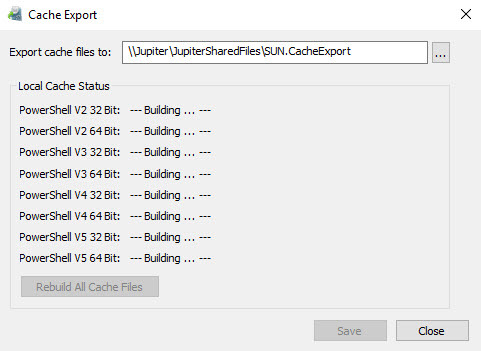 IMPORTANT: The Cache Export file naming format is “<servername>.CacheExport”. Please do not rename this file. 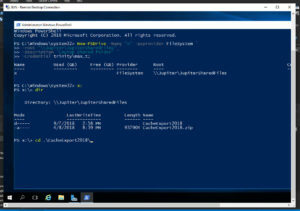 *Note: PowerShell snap-ins will not be supported in the newer version of PowerShell (> v5). 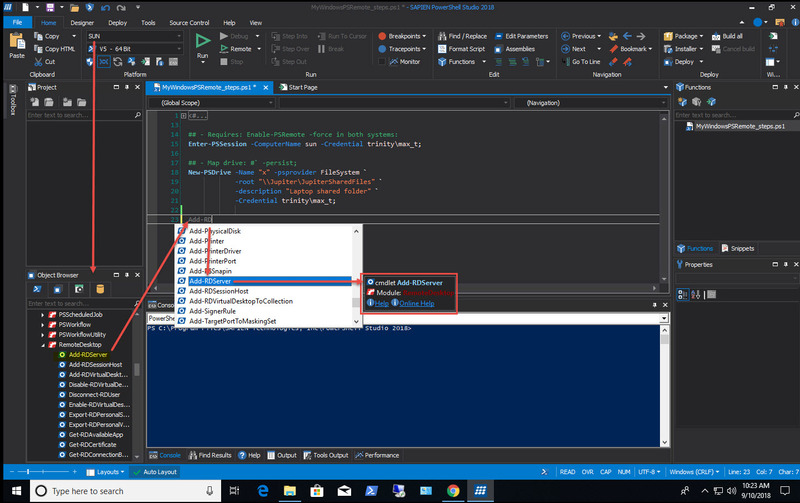 Now all of the the remote system modules are accessible from the PowerShell Studio Editor. *Note: When selecting a “Computer” from the list in the PowerShell Cache Editor, all checked modules belong to the selected computer. In our next blog post I will cover “PowerShell Studio: Using PowerShell Remote“. 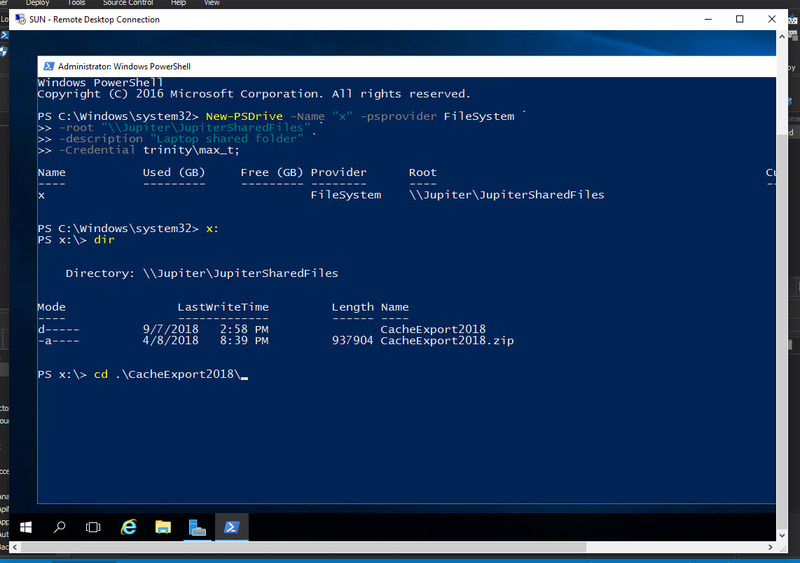 I’m getting an error starting CacheExport that mfc140u.dll is missing. Which Versions of C++ Runtime is required? x86 x64? This way we can provide to proper response. Don’t forget to Include the product version.